THE SKINNY: Admittedly, I'm bad about reading the directions. 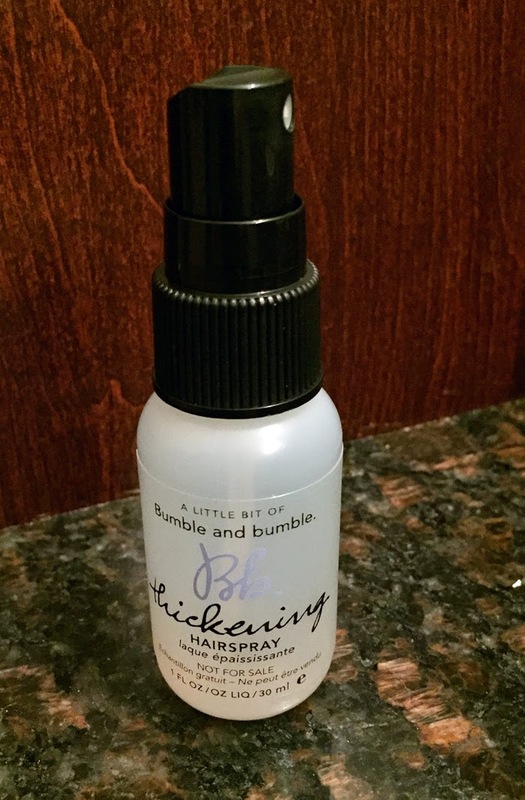 But the first few times I tried Bumble and Bumble's Thickening Hairspray, it seemed one of the worst products on the market. Then I read about the product and realized it wasn't a hairspray in the sense that it holds a finished style. It's a hair product that gets sprayed onto damp hair to help style it. But I'm happy to report that this spray does a great job (when used properly). It adds volume and texture to my fine hair without weighing it down. And the effect lasts a full workday and into the evening. The smell of this product is kind of awesome, too. It's kind of peppermint-y and fun. I'm ready to try the whole line now. KEEP OR TOSS: Keep. The nice thing about short hair is samples last longer! CHECK IT OUT: Bumble and Bumble's thickening line includes shampoo, conditioner and a serum.